Have you ever written a grocery list in a text note accidentally? 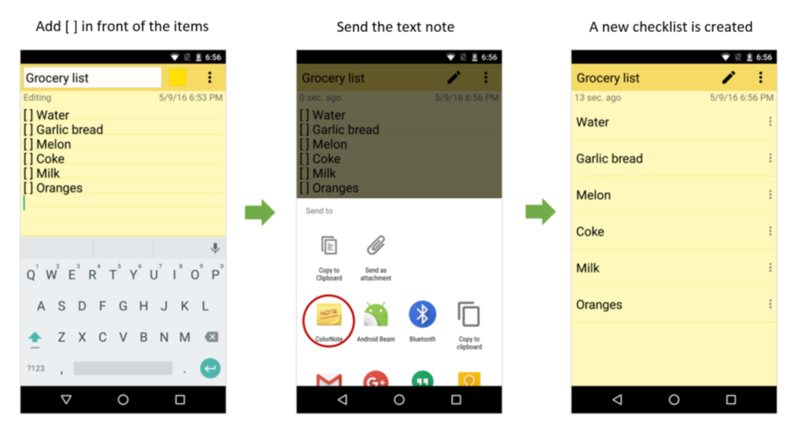 ColorNote allows you to convert your text note into a checklist. First, you have to put square brackets before each item. It is important that you enter one space inside the square brackets and also one space just before the item. After adding the brackets in this way, save the text note, and then send this text note to the ColorNote app. When you finish sending it, a new checklist will be created containing your list!